You don’t have room to carry a telescope? 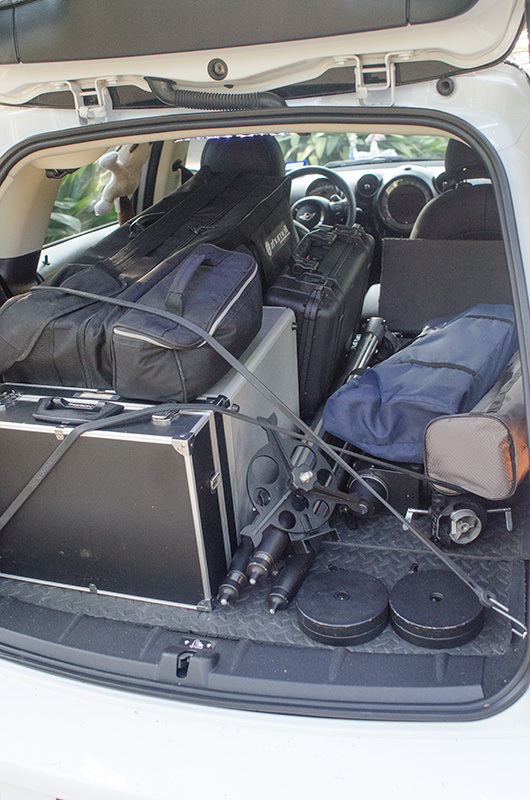 One of the concerns I hear from potential astronomers is that they have to travel to a dark site to do any serious observations or astrophotography and they just don’t think they can haul that much equipment. Sometimes it is a matter of driving a small vehicle, sometimes a matter of weight they have to carry. Either way I can usually talk to them a little and help dispel their concerns. Lets start by saying you can have a lot of fun with nothing more than binoculars which can be worn on a strap around your neck. Whether walking, riding a bicycle, a motorcycle or a car, there is no excuse for not participating with binoculars. 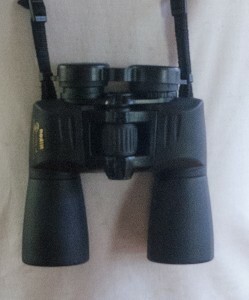 Often I have two pair of binoculars with me when I go out for a night. They are too easy to just throw into the back of the car or in the backpack. Many astronomy clubs even have Messier events where observers attempt to view as many Messier objects as possible in one evening with only binoculars. 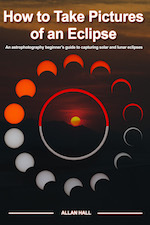 Even for seasoned astronomers this can be a really fun event and is often combined with cookouts or outreach programs. In many countries motorcycles are an extremely popular method of transportation for the majority of people, and indeed in the US they are fairly popular with college aged people for their great gas mileage and affordability. Unfortunately there is no way to do any astronomy beyond binoculars when you only have a motorcycle, right? Wrong. Assuming you are not pulling a trailer with your motorcycle (which would allow you to carry a full astrophotography kit without a problem) you still have room for much more than just a pair of binoculars. In fact, here are two options I can carry on my motorcycle should I want to take it for a night observing. 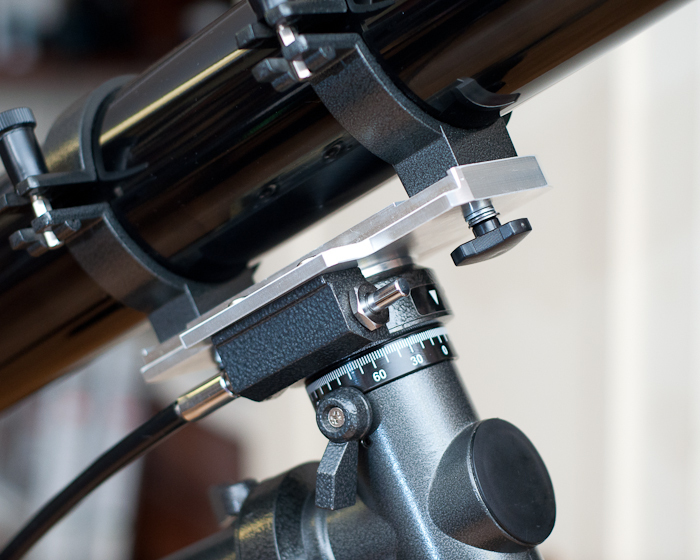 First is an iOptron SmartStar E R80 setup which was designed to be portable and is even featured in my Getting Started: Budget Astrophotography book. Included is the tripod, go-to mount (and they have a GPS version as well), all electronics running off battery power, camera, several eyepieces and remote shutter release. This entire kit fits without issue and will easily go on just about any motorcycle or even a bicycle as it mostly fits into a medium sized backpack. 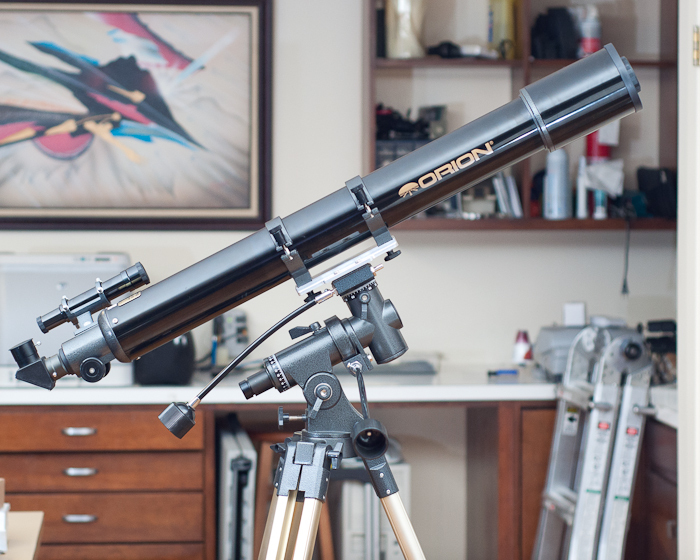 Next is something a little bigger, an Orion 90mm refractor, and an older version is featured in my book Getting Started: Using an Equatorial Telescope Mount. 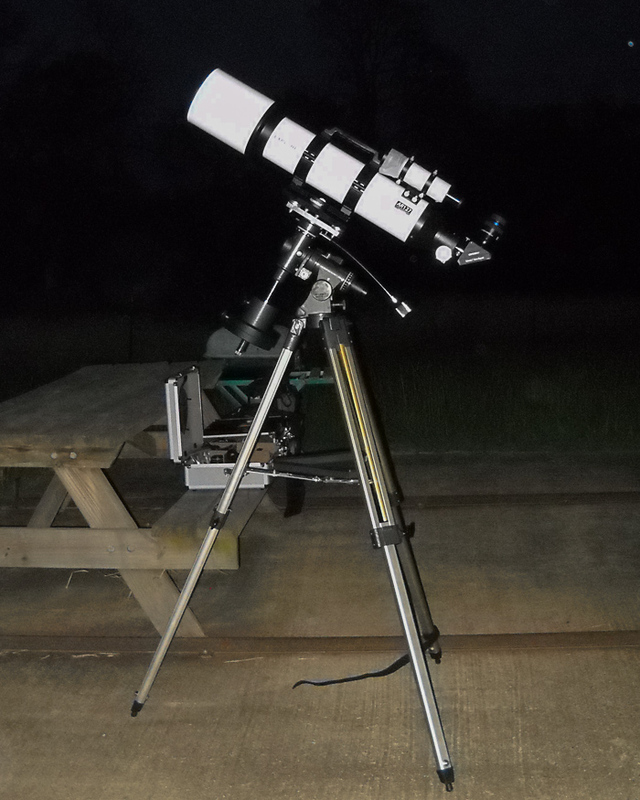 While this simple EQ mounted telescope and has no computer or electronics at all, it is still a very nice little visual setup to grab and go on an unexpectedly clear night when you just want to run out for a couple hours. So what about small cars? I drive a MINI Cooper S Countryman which although not the smallest out there I believe qualifies as a “small car”. I regularly carry my full astrophotography rig, table, two laptops, fan (for summer), blankets (for winter), chair, cooler, and on occasion a second telescope or AP setup. In the above image, everything but my laptop and cooler which are in the front seat are in the back. 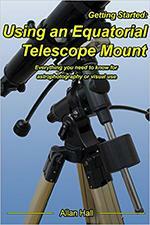 There is still plenty of room for a complete second observing telescope/mount combination. Family cars can be used as well without sacrificing the back seat. My 8″ dobsonian with all my eyepieces, accessories, chair, table, computer, cooler and much more all fit neatly in the trunk of my Wife’s Buick. We could still carry five full sized adults. There certainly are limitations but you should never think that you can not do any real astronomy or astrophotography because of what you drive, ride or even if you walk. Once hooked up and pointed roughly south (odd I thought since all the other scopes I have need to point north) I told it where to go, it went, more or less to the right area of the sky but definitely not on target. Once you sync it to a couple of stars however it is remarkably accurate. 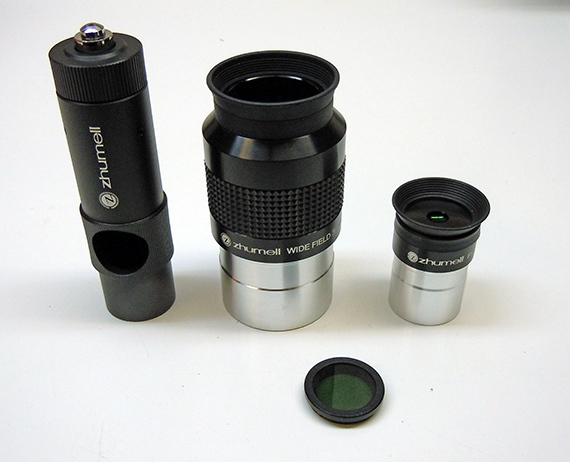 In fact, using a low power eyepiece you are virtually assured to get any target in your field of view on the first attempt. This isn’t impressive on my SkyView Pro or Sirius setups, in fact, “in the field of view” is not acceptable for them, they need to be dead center of the field of view. But when you consider this scope and mount combination cost about one third of what my cheapest goto EQ mount alone cost, it is impressive indeed. The next impressive thing is the views. 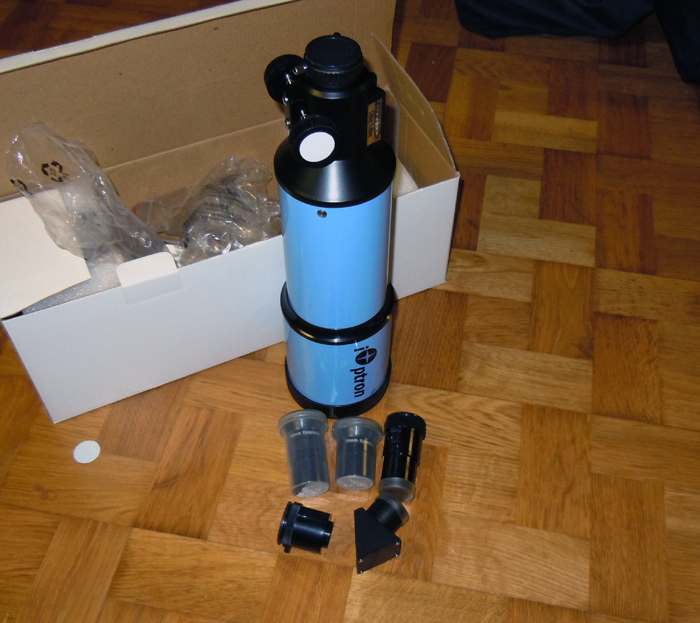 How good can a 80mm budget telescope with a cheap plastic tube and a cheap plastic diagonal and a cheap mostly plastic eyepiece be? Better than I expected! In the same league as my other scopes? Well, no, of course not, but far better than the price tag would lead you to believe. In fact, one of the things I thought when I bought this setup was I could swap out the scope for a nice ED doublet, a dielectric diagonal and a real EP and use it as a nice little grab and go scope. While I still may do that I certainly am in no rush as the views of M42, the moon, and Jupiter were quite reasonable. 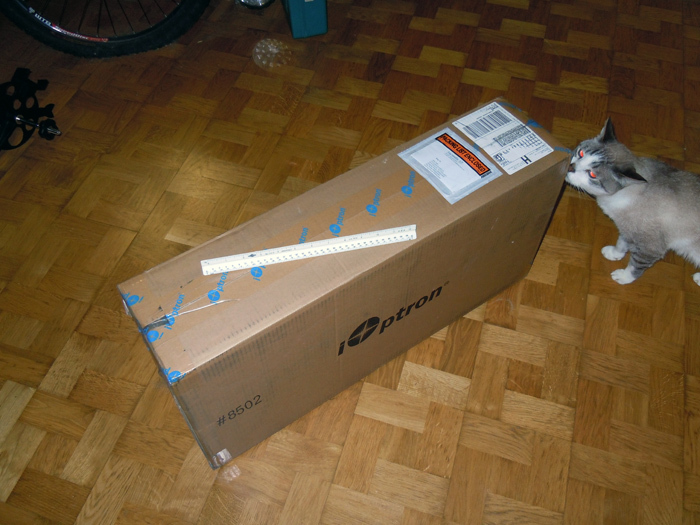 The one place I was not impressed was the tripod. Stability was not this thing’s middle name, not even its great grandfather’s middle name. Light weight, sure. Easy to transport and set up, yup. Stable, not even a little. The good news is that if ever there was a cheap scope and mount that was worth spending a little money on finding a slightly heavier tripod, this is it. 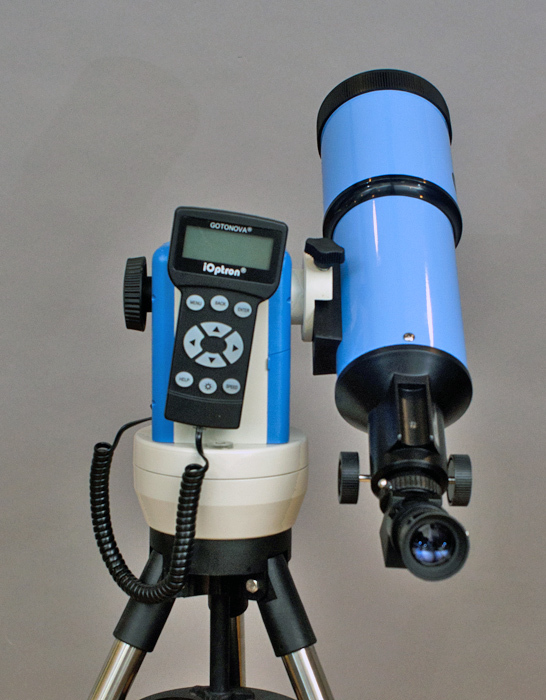 The basic setup of this iOptron SmartStar comes with the mount, tripod, hand controller, AC adapter (can also run off batteries), 80mm scope, 45 degree diagonal, 25mm and 10mm eyepieces. So over all would I recommend this setup? Absolutely. In fact, if anyone asks me for a suggestion on what scope to get someone showing a faint interest in astronomy without breaking the bank, instead of the normal 8″ Dob a lot of people insist on suggesting, this will be my scope of choice. 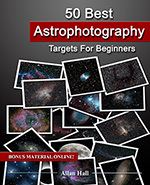 Light weight, easy to use, reasonable views, and a nice selection of targets you can just press a button and slew to without doing a lot of star hopping. 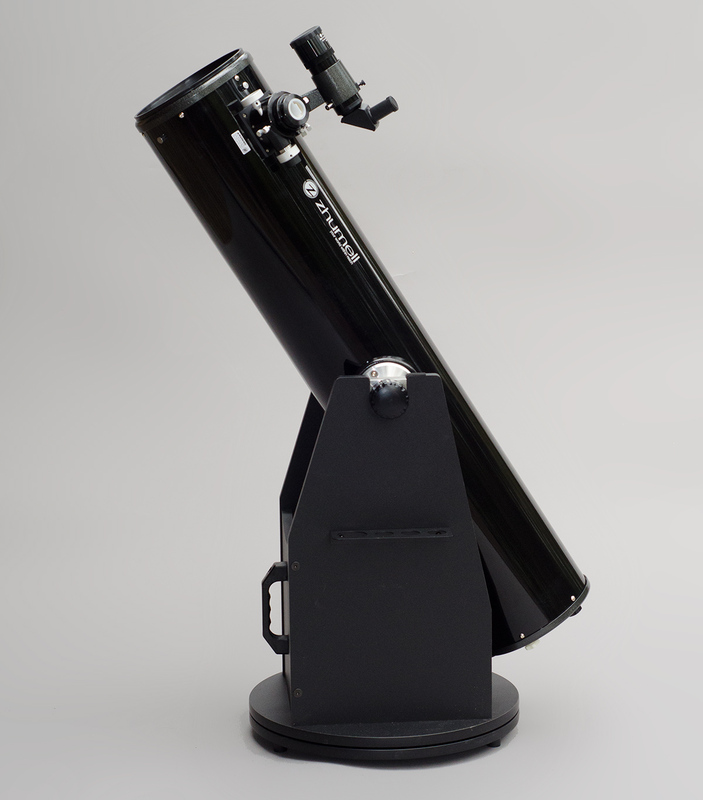 This should be a real winner for newcomers to the hobby who want a budget telescope and if I had one of these back in the day instead of that awful reflector I started with, I would have never given up astronomy for all those years. If you would like purchase an iOptron SmartStar E R80 for yourself, please use my link: iOptron SmartStar to help offset the cost of maintaining this website. I recently bought an Explore Scientific AR127 (sometimes called the ES127 or just ES AR127) and thought I would add my experiences to the other ES AR127 reviews. Back in October I bought an Orion 90mm f/11 scope to do visual. I didn’t want to spend much because I really don’t do much visual and didn’t have much of a desire to. Recently I have been wanting something a little more, a little larger. Not too large mind you because it won’t fit in the car with all the AP rig already in there (and I drive a full size car, Buick Lucerne). 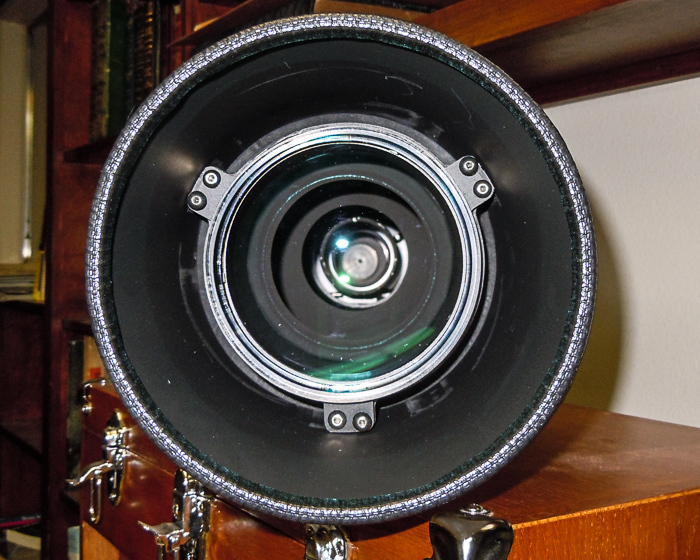 I looked around for something in the 120-130mm range, any larger and it would be too big a pain in the rear to use and I would have to have a new mount for sure. Too small and there won’t be much of an improvement over what I already have. 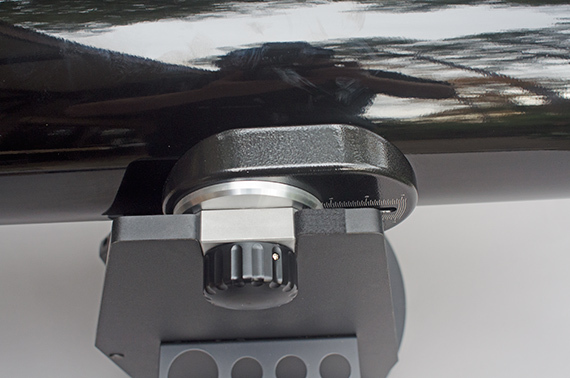 I also really hate the finderscope on the old Orion but it used a weird mount so you can’t just slap a different finder in there. 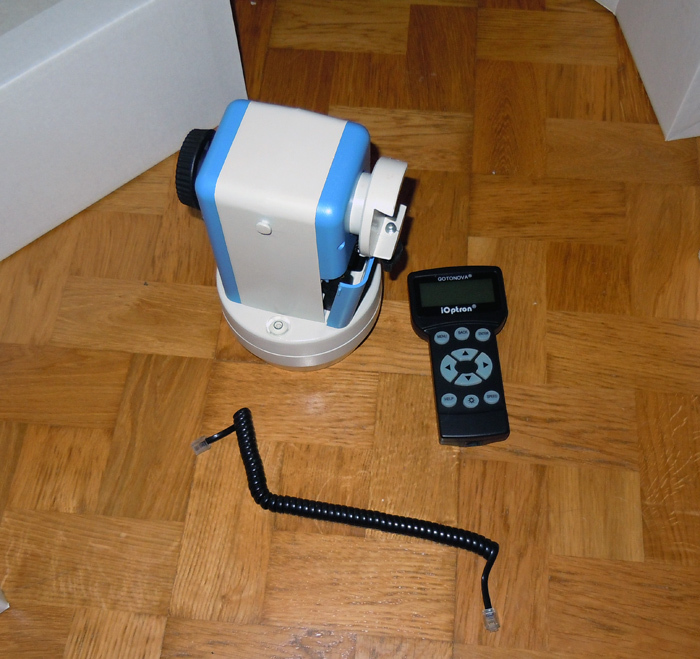 I would also like to use all the 2″ equipment I already have for my APO since the APO will be imaging while I use this. 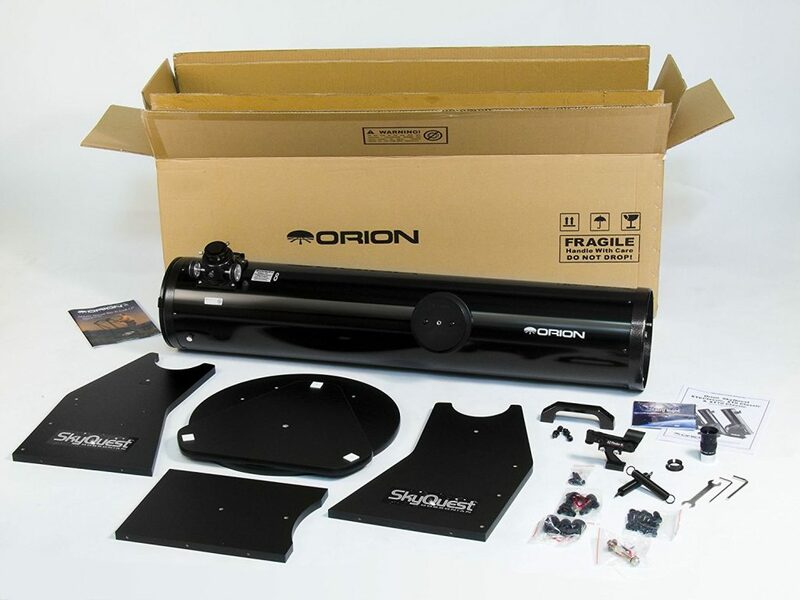 I wanted something much higher end than the standard starter 120mm scopes offered by Orion and Celestron, but where to look? 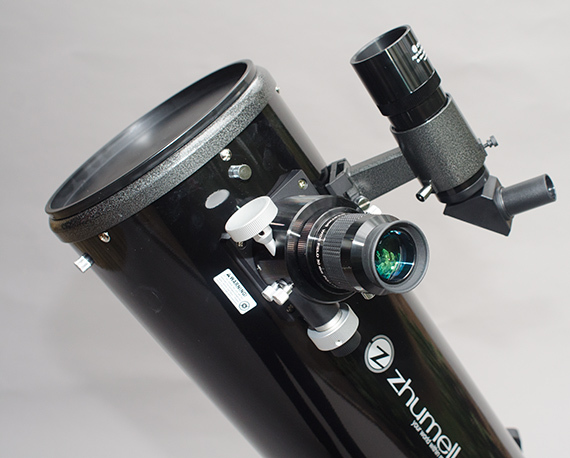 All the reviews pointed to Explore Scientific refractors, specifically the Explore Scientific AR127, as the finest non-ED/APO out there right now even discounting issues with their focusers. I chatted and emailed them and got really depressed. The chat was about the finderscope they include, an 8×50 finder with a proprietary mount, and the possibility of buying just an OTA with rings as I have no need for the finder or diagonal in their “kit”. The employee in the chat session, Langlee, informed me that they had no alternative to the finder on the AR127 but I could contact one of their distributors, Camera Concepts, as they carried many different types of adapters. After a quick call to Camera Concepts I was relayed a message from the owner and told to use double sided tape as they had no adapters for the Explore Scientific AR127. 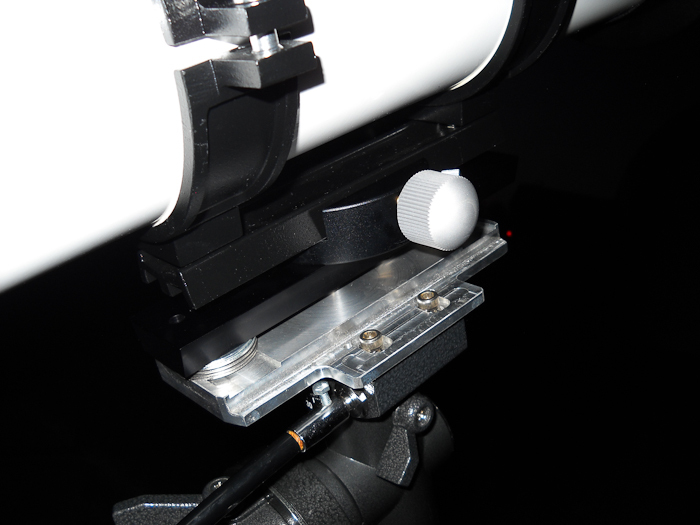 Yes, that is why I am looking to get a high end achro scope, so I can mount my accessories with double sided tape. Langlee also said they could probably get me just the OTA but he had to talk to accounting and would get back to me. So on to email which was the response about buying just the OTA and rings, which was from David. After many volleys back and forth the general gist of the conversation was that no, they would not sell me anything but their kit, and I should be happy to have it. I also found out that they have an entire machine shop dedicated to things like making finderscope mounts fit for customers (seems Langlee had no idea that part of the company even existed). So would they take the existing finderscope, mount and diagonal in trade for putting a $15 aftermarket vixen style shoe on the scope before they shipped it to me? Absolutely not because it is “Hard to pay our machinist with parts. 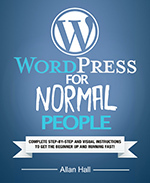 He prefers cash for some reason.” Yes, that is exactly what David told a prospective customer. So I have to assume that even they don’t believe their finderscope and diagonal is worth $15. But enough of that, I want the Explore Scientific AR127 for the optics which are supposedly first rate, and indeed David challenged me to find another doublet with equal optics which he claims are 1/4 wave or less PV. This was right before David suggested velcro instead of double sided tape for my finder, LOL! So you may ask, if I was already this unhappy with their customer service, why would I buy their scope? Simple, I could not find anyone with a scope that had comparable optics in a comparable price range, anywhere, or I certainly would have bought elsewhere. Because of their terrible customer service, I decided to buy my AR127 from a different vendor, such as from Amazon HERE instead of direct from ES to add a safety net into the equation so I did not have to deal with ES at all. 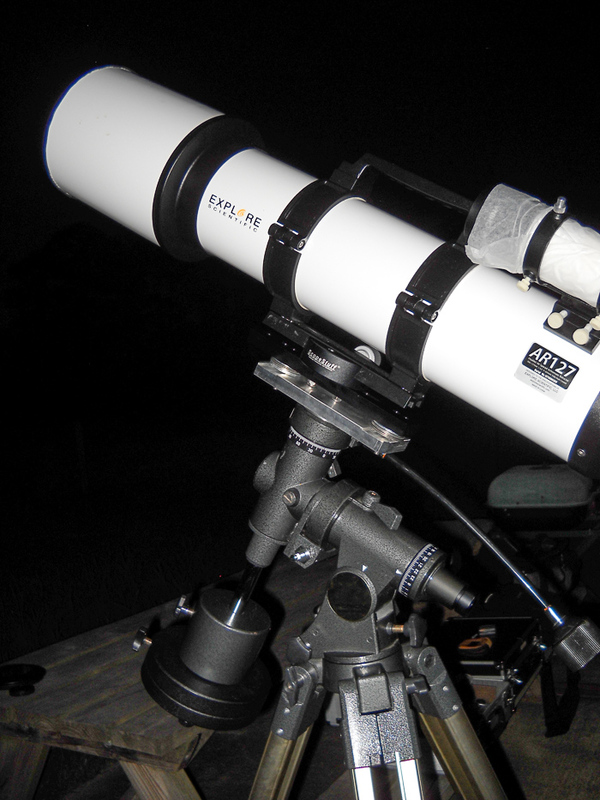 So here is the Explore Scientific AR127 mounted and ready for the night’s observing. How did she do? Overall build quality of the Explore Scientific AR127: The tube is nice, paint is nice, rails and rings are very nice. The handle at the top is a really nice touch although it would be pretty useless to mount anything but since I have no need to mount anything I like it. Dew shield is not retractable like my Orion so the scope is pretty long. Focuser: Although it performed fairly well I see why people don’t like it. 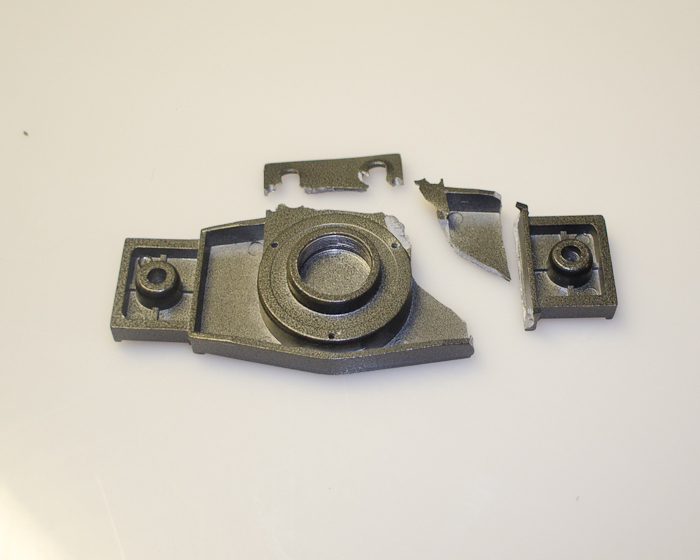 It feels cheap, the lock works….kinda, and the tensioner works…kinda, there is no scale printed on it, and it does not rotate. The two knobs for lock and tension are so close together and so close to the same size, I am honestly not sure which I was turning at any given time. I see a new GSO focuser in this scope’s future. 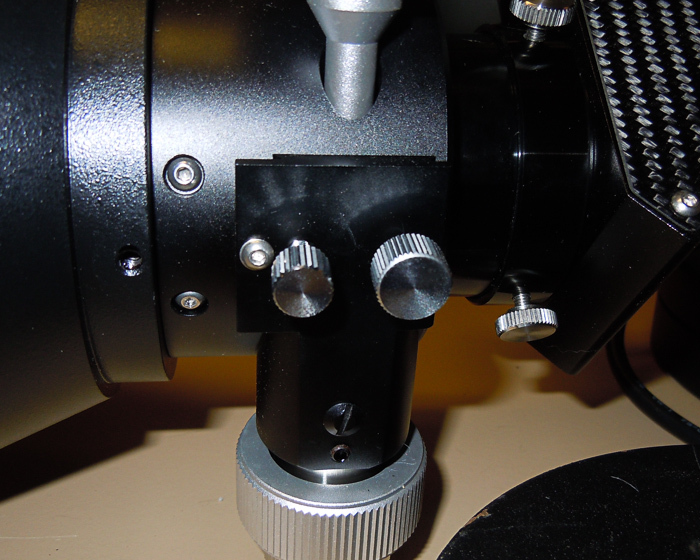 I wish it had a focuser like the one on my Orion. Documentation: You mean the packing slip? 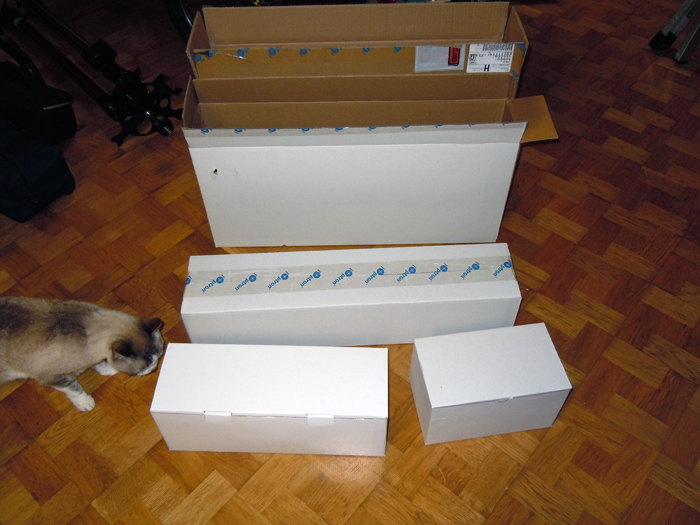 You must because that was all that was in the box. Lens cap: Large, with a molded in handle, but plastic and not screw in. I much prefer the aluminum screw in of my Orion, but again, the Orion was a much more expensive scope. Overall: I think I will keep the Explore Scientific AR127 because the optics are really good. 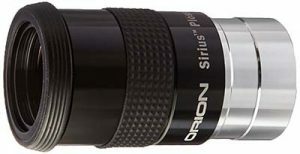 I have a new finder shoe and scope on the way from Orion and am looking at focusers right now. With those two replacements this will be an excellent scope. As it stands I feel I overpaid ($649 with free shipping) for what I got, but maybe the sale of the diagonal and finder on the bay will help bring the cost down a little. I can’t say enough good about this dovetail adapter and the service from ScopeStuff. They shipped so fast I thought they made a mistake telling me when it shipped (same day I ordered it, well after 5pm their time) and it arrived two days later perfectly. The only downside was I had to buy longer bolts and more washers since I was running an aftermarket mounting plate but that was totally my problem and not theirs. If I had been using the factory plate what they sent would have worked fine. If you decide to get your own Explore Scientific AR127 (or ES127, whichever you want to call it) please use THIS LINK to help offset the costs of running this site. I hope you enjoyed my little review of my Explore Scientific AR127! After purchasing my Orion Skyview Deluxe I thought I would share my thoughts on it. This isn’t “better” than the original, this is WAY WAY WAY better than the original! Excellent work Pat! Now my scope is in service and I will have more to do than read or watch TV while imaging for more than eight hours a night. I like this scope so well that even when it is not in use it is assembled and sitting in my living room where I can swing the scope around to look out the back window. I can also carry it through the sliding glass door and set it on the back upstairs deck. With a low power eyepiece the Orion Skyview Deluxe is a wonderful scope for watching the buzzards sitting in the tops of trees.